We undertake artesian well drilling, geothermal drilling and more ! Access to drinking water is an important criteria when you are buying or constructing your residence. Opt for service quality with Les Puisatiers Protech ! Thanks to our experimented and competent pump installation’s team, we are able to advise you and give you the pump and accessories that will give you the best efficiency according to your needs. 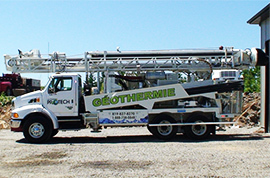 Our company has been drilling wells for the installation of geothermal heating and cooling systems for many years. Our mine drilling and health and safety expertise as well as our qualified workforce makes our distinction. Our professionalism, our competence and our know-how will only satisfy you. Drilling of 4 geothermal wells of a depth of 550 feet each, for a total of 2 200 feet of drilling. 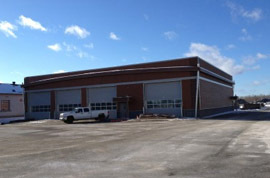 Les Puisatiers Protech owns specialized drilling equipment on the cutting edge of technology. participating in the protection of the environment.